Thank you for being patient. This has been a heck of a day. Here is where we are as of right now. We are hoping that by making this change, we will not have to make further changes and we can move forward safely with the tournament. US 14 West of approx Wolsey 12PM Friday. Other US HWY routes (212, 281, etc) the same as 14. We know this is not an ideal format for anyone. However, we feel this is our best option given the hand we have been dealt. Thanks again for your patience. See you this weekend! 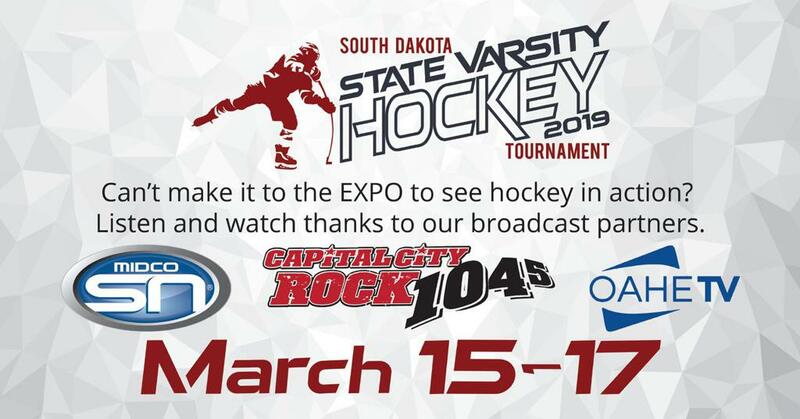 All games will be broadcast live on the radio by KCCR radio at 104.5 FM in the coverage area and online at www.capitalcityrock.com (follow the listen live link). 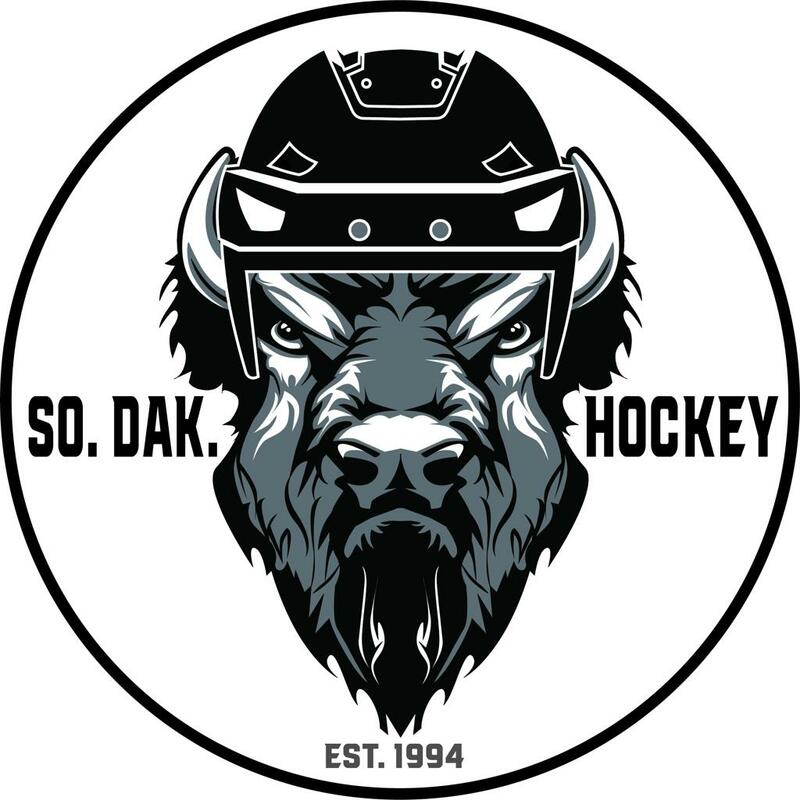 Most games will be broadcast live on television by the Midco Sports Network, including all opening round games Friday and the championship bracket games on Saturday (4:35 & 7:05 pm) and Sunday (12:35 and 3:35 pm). 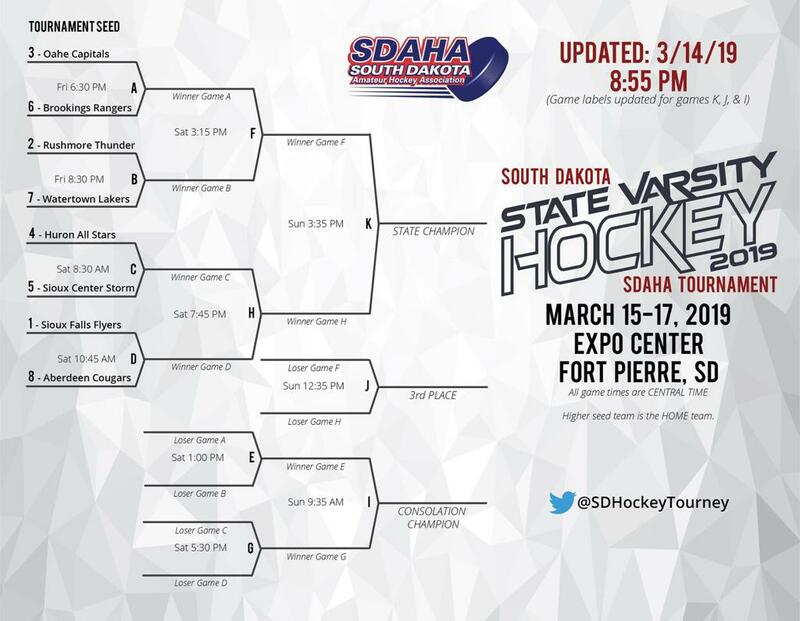 The Oahe Hockey Association is excited to host the 2019 Varsity State Tournament on march 15 - 17, 2019! 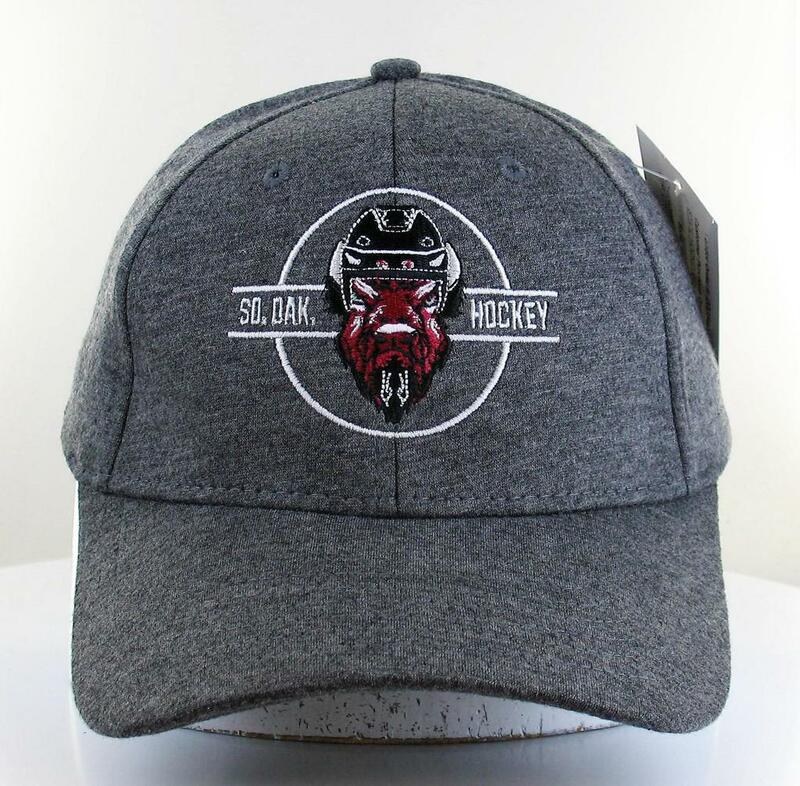 SoDak Hockey hat that be sold on-site for $20. Prices shown below do not include taxes or other applicable fees.